The third-party video player can easily handle MKV, FLV, MP4, DivX, XviD, and WMV formats. 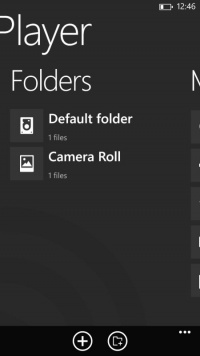 Although Microsoft added mass storage mode to Windows Phone 8 platform, it still missed out on codec support. WP devices only support MP4, DivX, XviD, and WMV files out-of-the-box. Therefore, if your movie collection mostly comprised of MKV and FLV files, you had to deal with the slow and painful video trancoding. 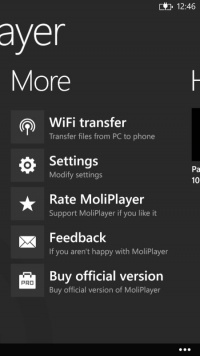 That's set to change now, as the guys at Moli Time Technology Corporation have released a great third-party video player for WP8 platform. Dubbed as MoliPlayer, this software can play anything you throw at it. The app also offers swipe controls. For instance, you can seek the video by swiping horizontally and Swipe vertically to control volume (left) and brightness (right). 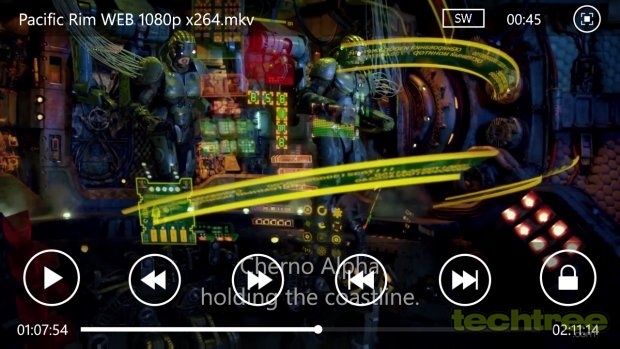 What's more, MoliPlayer also supports subtitles. Due to the OS restrictions, the app can only read videos from the Camera Roll folder of the internal storage or microSD card of your phone. 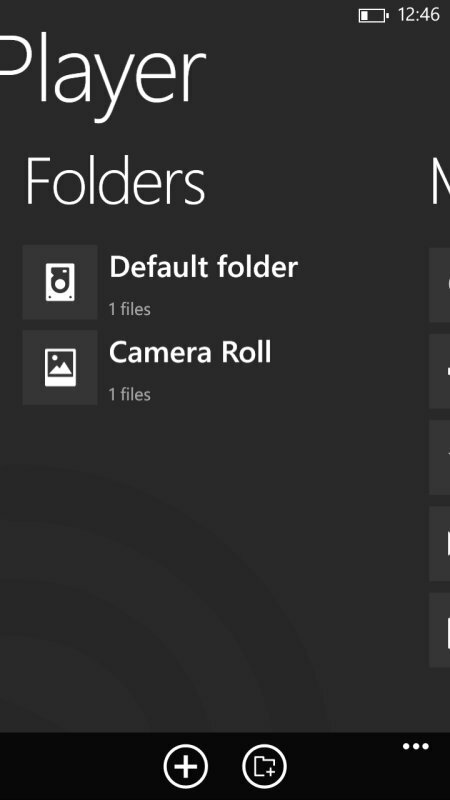 So basically, you'll have to copy the movies to camera roll instead of the videos folder. That's quite weird, but not really an issue. 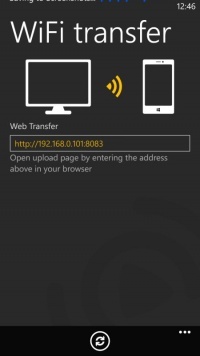 There's also an option called Wi-Fi transfer that lets you transfer movie directly from your PC to phone. This method is quite fancy, but not as fast as USB. 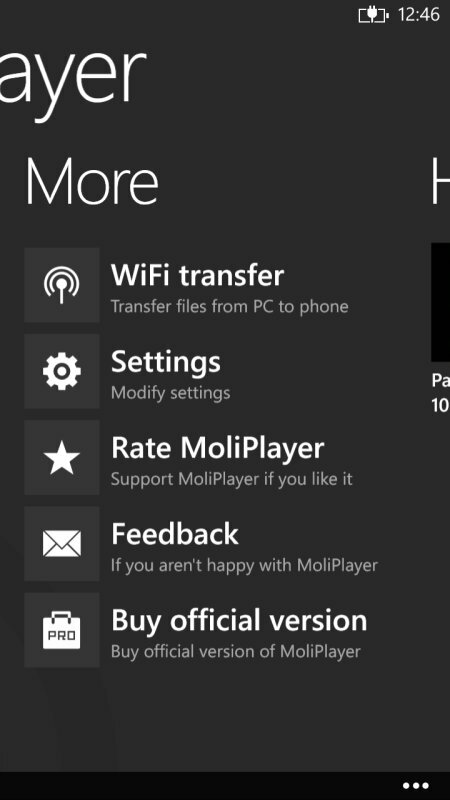 The MoliPlayer Pro is available for Rs 160, which isn't a bad deal at all. If you have doubts, you can download the 15-day trial version before shelling out money. Price: Rs 160; Free 15-day trial.